AZZURRO RECORDS: Paris Saint Germain is the foreign club whose players played most games with the Italian National team - 64 games. Thiago MOTTA and Salvatore SIRIGU formed part of the Azzurri squad that finished Runner-up European Champions in 2012. Salvatore SIRIGU also formed part of the Azzurri squad that finished Third in the FIFA Confederations Cup 2013. 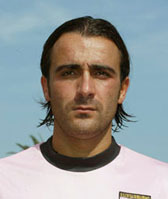 Paris Saint Germain was the first foreign club to give an Oriundo player to the Italian National team and is the foreign club with most Oriundi games in Azzurro. Salvatore SIRIGU is the Azzurro with most Unused Call-ups from a Foreign Club and Thiago MOTTA was the first Oriundo player to play in Azzurro from a Foreign Club and is also the Oriundo player who played most games in Azzurro from a foreign club. FULL NAME: Societa Sportiva Calcio Napoli s.p.a.
NICKNAMES: Azzurri (blues), I Ciucciarelli (The little donkeys), Partenopei (The Greek name of the city of Napoli derived from the Greek mythology siren Parthenope). 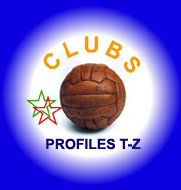 HISTORY: Founded in December 1908 as 'Football Association Studenti' by teenage students, but in November 1912 they were joint by all the best players of the clubs 'Voluntas', 'Pro Scalon', 'Ginnastica e Scherma', 'Forza & Speranza' and 'Collegio Gallarini' to create 'Novara Calcio'. NATIONAL HONOURS: Italian Champions, 1 - 1921/22. NICKNAMES: l'OM (Name Initials), l'Oheme (Name Initials in Words), Marseillais (Men from Marseille). HISTORY: Founded in 1899 as'Olympique de Marseille' after the restructuring of the 'Football Club de Marseille' founded in 1892 as 'Sporting Club de Marseille'. FULL NAME: Perugia Calcio Spa. HISTORY: Founded on the 9 June 1905 as 'Associazione Calcio Perugia' after the merger of 'Fortebraccio' and 'Libertas'. For a brief period, between 1913 and 1919, they changed their name to 'Societa Sportiva Perugia'. In 2005 they were declared bankrupt but refounded immediately as 'Perugia Calcio Spa'. INTERNATIONAL HONOURS: .UEFA Intertoto Cup, 1 - 2003. 1964 to the current name 'Società Sportiva Calcio Napoli'. In 1994 the club was declared bankrupt but was immediately refounded as 'Napoli Soccer', but in 2006 the current name was again restored. NATIONAL HONOURS: Italian Champions, 2 - 1986/87, 1989/90. Coppa Italia, 5 - 1961/62, 1975/76, 1986/87, 2011/12, 2013/14. Italian Super Cup, 2 - 1990, 2014. Lipton Challenge Cup, 3 - 1909, 1911, 1914.
INTERNATIONAL HONOURS: UEFA (Europa) Cup, 1 - 1988/89. Coppa delle Alpi, 1 - 1966. Anglo-Italian League Cup, 1 - 1976.
the people of Patavium, the old Latin name of the city of Padova). HISTORY: Founded on the 29 January 1910 as 'Associazione Calcio Padova'. The name was eventually changed to the current 'Calcio Padova Spa'. 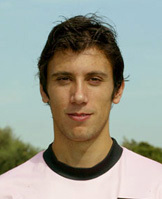 NICKNAMES: Rosanero (Pink-Blacks), Aquile (Eagles). FULL NAME: Parma Football Club Spa. Ducali (Men from the Duchy). HISTORY: Founded on the 27 July 1913 as 'Verdi Foot Ball Club' but five months later the name was changed to 'Parma Foot Ball Club'. In 1931 the name was changed to 'Parma Associazione Sportiva', in 1967 to 'Parma Football Club' and in 1968 to 'Parma Associazione Calcio'. On the 1 January 1970 it merged with 'Associazione Calcio Parmense' (founded in 1968) but kept the same name. In 2004 it was declared bankrupt but was immediately refounded with the current name. NATIONAL HONOURS: Coppa Italia, 3 - 1991/92, 1998/99, 2001/02. Italian Super Cup, 1 - 1999.
INTERNATIONAL HONOURS: Cup Winners Cup, 1 - 1993. UEFA Cup, 2 - 1995, 1999. European Super Cup, 1 - 1993.
of the Region whose capital city is Torino, the home town of the club). 1911 and 1915 when the Italian Championship was suspended due to World War I. In 1919 when the Championship was restarted, 'Piemonte Football Club' was already disbanded. FULL NAME: Pisa Calcio Spa. famous leaning tower of Pisa). changed the name to 'Associazione Calcio Pisa' but in 1947 they changed it back to the original name. In 1994 it was declared bankrupt but was refounded immediately first as 'Associazione Calcio Pisa' and in 1995 as 'Pisa Calcio Spa'. INTERNATIONAL HONOURS: Mitropa Cup, 2 - 1986, 1988. National team won the Football Tournament of the 1936 Olympic Games: Sergio BERTONI, Carlo BIAGI and Paolo VANNUCCI who never played with the Italian National team although he formed part of the Azzurri squad. Carlo BIAGI scored the first Poker (four goals in one match) in Azzurro and is also the Azzurro player who scored most from the Serie B. 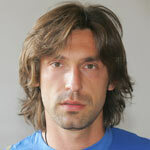 He is one of only five players to play in Azzurro only from the Serie B. FULL NAME: Pro Patria Gallaratese Gallarate Busto S.r.l. (The name 'Pro Patria' means 'For the Fatherland' in the Latin language). HISTORY: Founded in 1907 as 'Societa Sportiva Aurora'. On the 26 February 1919 it was refounded after World War I as 'Pro Patria et Libertate Unione degli Sports Bustesi' but commonly called 'Pro Patria'. In 1995 it merged with the 'Società Ginnastica Gallaratese' and adapted the current name. FULL NAME: Unione Sportiva Pro Vercelli Calcio Srl. NICKNAMES: Bianchi (Whites), Bianche Casacche (White Shirts), Leoni (Lions). HISTORY: Founded in 1892 as 'Societa Ginnastica Pro Vercelli' with the football section being created within the club in 1903. In 1910 the name was changed to 'Unione Sportiva Pro Vercelli' and in 1954 the club absorbed 'Gruppo Primi Calci'. NATIONAL HONOURS: Italian Champions, 7 - 1908, 1909, 1910/11, 1911/12, 1912/13, 1920/21, 1921/22. 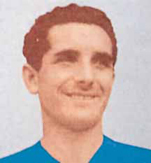 AZZURRO RECORDS: Mario ZANELLO formed part of the Azzurro squad that won the first edition of the Coppa Internazionale in 1930. 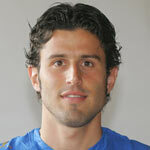 Carlo RAMPINI was the first azzurro to score a bis (two goals in one match) and Giuseppe MILANO was the first Azzurro Captain of a Competitive match and is the second of only four players to lead the Azzurri as Captain in his debut match. HISTORY: Founded on the 3 August 1950 as 'Olympique de Lyon et du Rhône' although there are those who say the club was founded in the first years of the 1900's as 'Olympique Lyonnais' after disagreement between the football and the rugby section of the 'Olympique Lyon' (founded in 1899). NATIONAL HONOURS: French Champions, 7 - 2002, 2003, 2004, 2005, 2006, 2007, 2008. French Cup, 5 - 1964, 1967, 1973, 2008, 2012. French Super Cup (Trophée des Champions), 8 - 1973, 2002, 2003, 2004, 2005, 2006, 2007, 2012. AZZURRO RECORDS: Fabrizio RAVANELLI is the only player to play in Azzurro from two non-Italian clubs. changed to 'Societa Sportiva Palermo' in 1946 until it was again declared bankrupt in 1986 but refounded a year later under the name 'Unione Sportiva Citta di Palermo Spa'. NATIONAL HONOURS: Coppa Federale Siciliana, 1 - 1920. Lipton Challenge Cup, 3 - 1910, 1912, 1913. 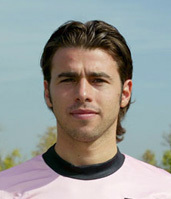 AZZURRO RECORDS: Four Palermo players won the 2006 World Cup: Simone BARONE, Andrea BARZAGLI, Fabio GROSSO and Cristian ZACCARDO. Federico BALZARETTI formed part of the Azzurri squad that finished runner-up European Champions in 2012. AZZURRO RECORDS: Five Parma players formed part of the Italian National Squad that finished Runner-up World Champions in 1994: Luigi APOLLONI, Antonio BENARRIVO, Luca BUCCI, Lorenzo MINOTTI and Gianfranco ZOLA. Two Parma players formed part of the Azzurri squads that finished Runner-up European Champions: Fabio CANNAVARO in the Euro 2000 and Sebastian GIOVINCO in 2012. Both Enrico CHIESA and Gianfranco ZOLA scored the most Azzurro goals in the same match after entering as a substitute - 3 goals. Antonio MIRANTE is the joint Azzurro player with the third most unused call-ups from a player who never played in Azzurro (8 unused call-ups). INTERNATIONAL HONOURS: Anglo-Italian Cup, 1 - 1986. 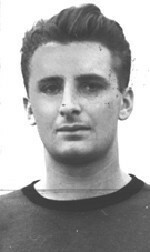 AZZURRO RECORDS: Carlo GIROMETTA and Sandro PUPPO both never played with the Italian National team but formed part of the Azzurri Squad that placed first and won the Gold Medal of the 1936 Olympics Football Tournament. FULL NAME: Atletico Piombino S.r.l. HISTORY: Founded in 1921 as 'Unione Sportiva Piombino Calcio'. In 1924 it merged with another sports club of the city and took its name, becoming 'Associazione Sportiva Sempre Avanti'. The club was disbanded during World War II but in 1945 it was refounded as 'Unione Sportiva Piombino'. In 1996 it was declared bankrupt but was immediately refounded as 'Associazione Sportiva Piombino'. In 2004 the name was changed to the current one. French Legue Cup, 1 - 2001.
INTERNATIONAL HONOURS: UEFA Intertoto Cup, 1 - 1997. Peace Cup, 1 - 2007. Champions), 3 - 1971, 2010, 2012. French League Cup, 3 - 2010, 2011, 2012. NTERNATIONAL HONOURS: UEFA Champions League, 1 - 1993. UEFA Intertoto Cup, 1 - 2005. FULL NAME: Paris Saint-Germain Football Club. Les Rouge-et-Bleu (The Red and Blues), Les Parisiens (The Parisians). HISTORY: Founded on the 12 August 1970 through the merger of 'Paris FC' (established in 1969) and 'Stade Saint-Germain' (established in 1904). NATIONAL HONOURS: French Champions, 7 - 1985/86, 1993/94, 2012/13, 2013/14, 2014/15, 2015/16, 2017/18. French Cup, 12 - 1982, 1983, 1993, 1995, 1998, 2004, 2006, 2010, 2015, 2016, 2017, 2018. French Super Cup (Trophée des Champions), 7 - 1995, 1998, 2013, 2014, 2015, 2016, 2017. French League Cup, 8 - 1995, 1998, 2008, 2014, 2015, 2016, 2017, 2018.
INTERNATIONAL HONOURS: UEFA Cup Winners Cup, 1 - 1996. UEFA Intertoto Cup, 1 - 2001. NICKNAMES: Delfini (Dolphins), Biancazzurri (White-Light Blues). HISTORY: Founded in 1936 as 'Associazione Sportiva Pescara' but changed the name to 'Pescara Calcio SPA' in the 1990's. In December 2008 it was declared bankrupt but was immediately refounded on the 29 January 2009 with the current name. Newcastle upon Tyne), Toon Army, Geordies (Nickname of the citizens of Newcastle upon Tyne). HISTORY: Founded in December 1892 as 'Newcastle United Football Club' after the merger of two clubs: 'Newcastle East End FC' (founded in 1881) and 'Newcastle West End FC' (founded in 1882) both founded as the football section of a cricket club. NATIONAL HONOURS: England Champions, 4 - 1904–05, 1906–07, 1908–09, 1926–27. FA Cup, 6 - 1910, 1924, 1932, 1951, 1952, 1955. FA Charity / Community Shield, 1 - 1909.
INTERNATIONAL HONOURS: UEFA (Europa) Cup, 1 - 1969. UEFA Intertoto Cup, 1 - 2006. Kirin Cup, 1 - 1983. Texaco Cup, 2 - 1974, 1975. Anglo-Italian Cup, 1 - 1973. 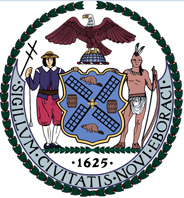 HISTORY: Founded in May 2013. NICKNAMES: Les Aiglons (The Eaglets), Le Gym (The Gymasts). almost went bankrupt but was saved and the current name adapted. NATIONAL HONOURS: France Champions, 4 - 1950–51, 1951–52, 1955–56, 1958–59. Coupe de France (Charles Simon), 3 - 1952, 1954, 1997.